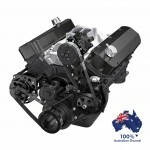 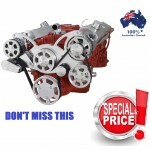 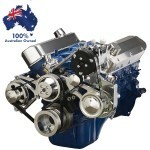 Ford 289, 302 & 351W Engine Serpentine Conversion Kit Air Conditioning, Power Steerin..
WEBSITE SPECIAL!!! 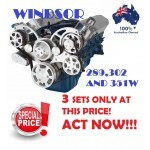 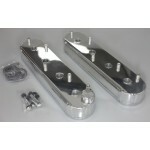 - SPRING - SUMMER MADNESS - 5 SETS ONLY AT..
Ford Windsor 289,302 and 351 Engine Serpentine Conversion Kit .. 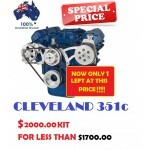 Complete Ford 351C Cleveland Serpentine Conversion Kit Alternator, Power Steering Applications .. 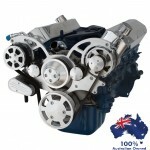 PRO ELECTRONIC WINDSOR 289 302 351W DISTRIBUTOR. 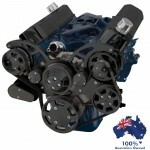 FITS ALL V8 NON – ROLLER WINDSOR ENGI..
" BURN UP THE RUBBER" START THE YEAR OFF RIGHT - "SPECIAL" &nbs.. 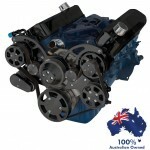 Complete Ford 289 - 302 - 351W Serpentine Conversion Kit Alternator, Power Steering & Air C.. 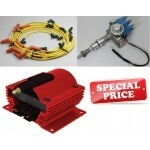 PRO ELECTRONIC CLEVELAND 302 351C DISTRIBUTOR. 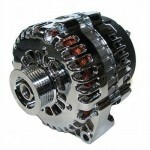 FITS ALL V8 NON – ROLLER CLEVELAND ENGI..
FORD STYLE CHROME ALTERNATOR 1 WIRE 120 AMP 3G CASE "COMPACT" This alternator ..
YOU ASKED FOR IT AND WE HAVE IT!!! 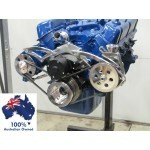 Complete Polished Billet Aluminum Alt..
Ford 289, 302 & 351W Engine Serpentine Conversion Kit Air Conditioning and Alternator..
Ford 289, 302 & 351W Engine Serpentine Conversion Kit Power Steering and Alternator ..
YOU ASKED FOR IT AND WE HAVE IT!!! 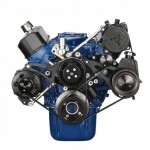 CHEVY LS1, LS2, LS6, AND LS7 FABRICATED&nb..